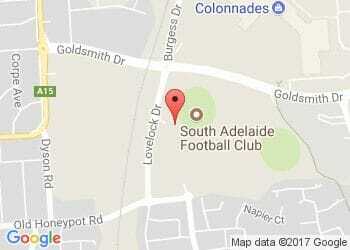 The South Adelaide Football Club Colonnades Blitz is your chance to meet the team and coach! The Panthers are taking over Colonnades Shopping Centre for the day on Saturday, 13th February from 10:00am to 3:00pm. Come and visit us on the Upper Level, near the Food Court, to meet the players and get an autograph or picture, hear from the coach, take part in some fun games with some cool giveaways and prizes and grab a 2016 Panthers Membership! There will also be special appearances from Kingston the Panther and the SAFC Cheerleaders on the day.